​ELIE HANDBAGS is the signature brand name under our company known as John's Bags. 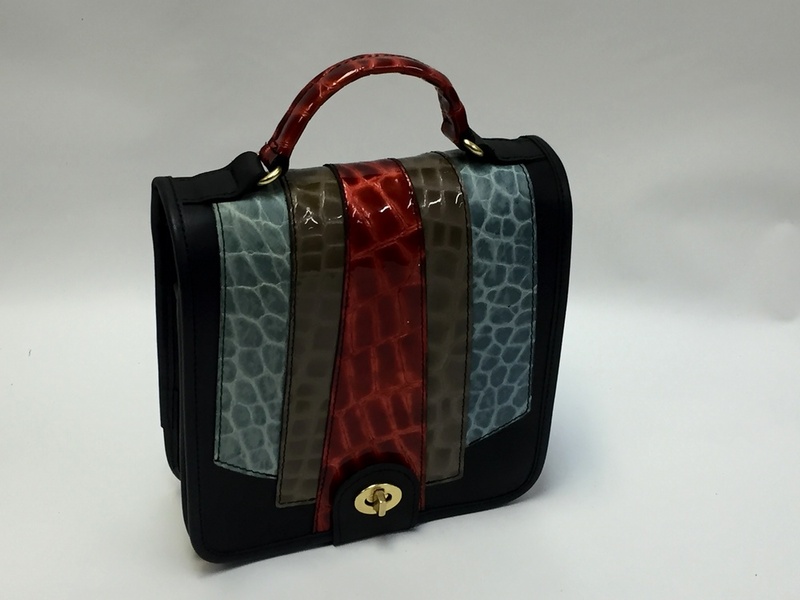 Elie has over 30 years of experience with handcrafting leather handbags. We use only fine, rich genuine leather for all our products. We design and customize geniune leather handbags. We hand design our bags in the state of Pennsylvania in our shop located in Easton. We use natural lamba cow skin leather and Italian embossed leathers. ELIE HANDBAGS offers classic handbags, which are distinguished by their quality, design, and beauty or for anyone who is looking for something special. Today we are one of the few companies that can say our all our products and materials really are made from genuine Italian leather from start to finish. Our company values quality and the time needed to finish each product with precise care. We sell very high quality Italian leather handbags in our own retail shop and wholesale to retailers in various states around the country. We offer a wide selection of products crafted from beautiful, top-quality, very fine leather made by the very best leather craftsmen.